Resveratrol, an antioxidant present in red wine, chocolate, and grapes, has been getting a lot of press lately. 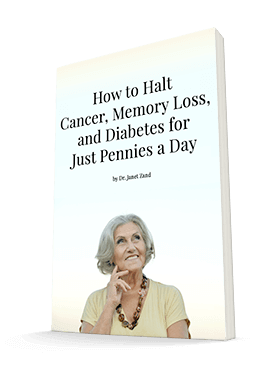 Some studies say it increases longevity and reduces your risk for cancer and heart disease, while others disagree. The answer depends on several factors. Researchers at Johns Hopkins University conducted a study on older adults in the Chianti wine-making region of Italy. They examined urinary metabolites and found that those with the highest dietary intake of resveratrol weren't any less likely to die over nine years than those with lower intake. In fact, those in the lowest quartile actually fared the best. The researchers were surprised — they had expected to find the opposite. They also failed to uncover a relationship between resveratrol and inflammatory markers, cardiovascular disease, or cancer. Some critics of resveratrol point out that because our bodies metabolize resveratrol so quickly, it's very difficult to experience any benefit from ingesting it via food sources alone. The concentrations are just too low in foods for it to have a significant effect. It may be best to take resveratrol several times a day in both supplements and foods to keep a constant supply in your bloodstream. Since many of the studies done on resveratrol aren't definitive — even in the Chianti study, the sample size was very small — many experts are suggesting we include a balanced diet and exercise when using resveratrol to support heart health. Dr. Nieca Goldberg, a spokesperson for the American Heart Association, says, "We've really rarely found a cardiovascular benefit from just one food substance or supplement alone." But other doctors think resveratrol can still help — we just may need higher levels. If resveratrol is indeed beneficial, does that mean you should drink three or four glasses of wine a day to boost your resveratrol intake? Probably not. The majority of studies have found that women in particular should not exceed drinking one or two glasses of wine daily. 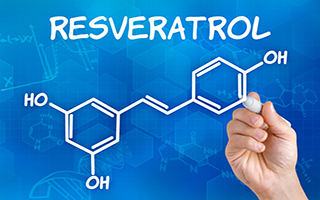 It's likely better and safer to take resveratrol supplements. The bottom line is that even if resveratrol does have benefits, chocolate and wine aren't sufficient sources of the nutrient. Have a glass or two of wine at the end of the day if you like, but if you want to reap the potential benefits of resveratrol, take a tablet of Advanced Resveratrol Formula twice a day as a supplement. Phend, Crystal. "Red Wine and Health: Resveratrol Health Benefits a Myth?" MedPage Today, May 12, 2014.